We produced a company overview video for each of Synseal’s major brands focussing specifically on trying to shift their audience’s perception from the Synseal of old, to the Synseal of new. 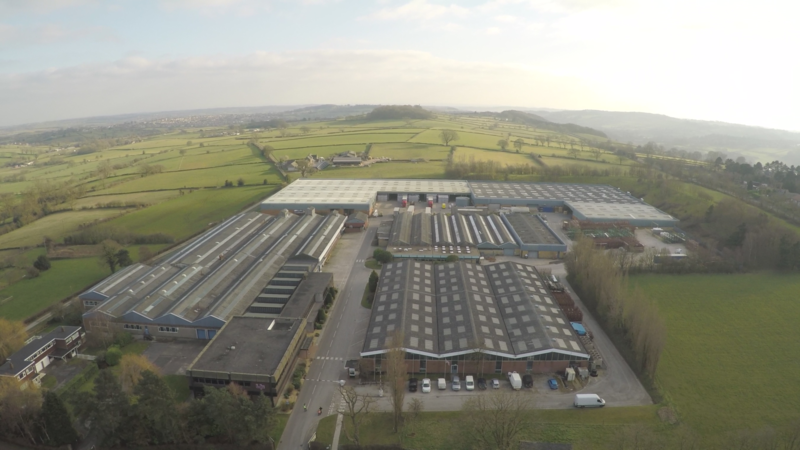 Since a management buy-out several years ago, Synseal has invested heavily in their talent pool, equipment and expansion. Additionally, through numerous acquisitions, Synseal no longer just extrudes profile for use in windows, doors and conservatories and asked Mindset to capture a snapshot of how the business looks in 2016. The company overview video(s) were displayed in various locations on their incredibly impressive exhibition stand during the 2016 FIT Show – an exhibition for the window, door, conservatory, and double glazing industry. The fact the videos were going to be displayed on an exhibition stand meant we couldn’t rely upon audio to help cascade the message due to the rather loud nature of an exhibition hall. One of the first things we decided upon for this project was to use a drone to help bring to life the sheer scale of the operation as requested in the brief. With Synseal having 35 acres of facilities spread across 6 manufacturing sites we felt a drone would allow us to capture the depth of Synseal’s operation in a way that would be otherwise impossible through conventional methods. Our drone of choice for this shoot was the DJI Phantom 3 coupled with a GoPro Hero 4 that shoots in full 4k to deliver silky smooth ultra-high quality aerial shots. Continuing with the theme of camera movement we also chose to take our jib on the shoot to get an additional perspective with some great crane reveal shots. 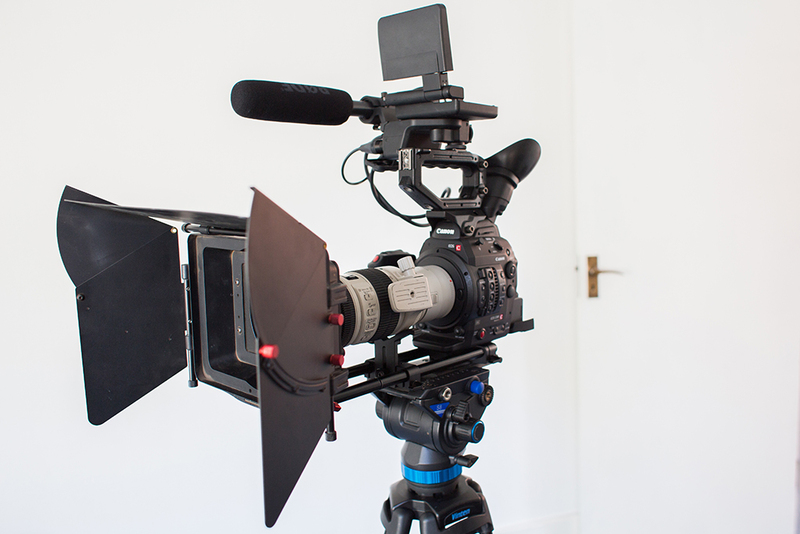 The final major piece of the kit puzzle was our cameras – two of Canon’s excellent C300 MKii’s. 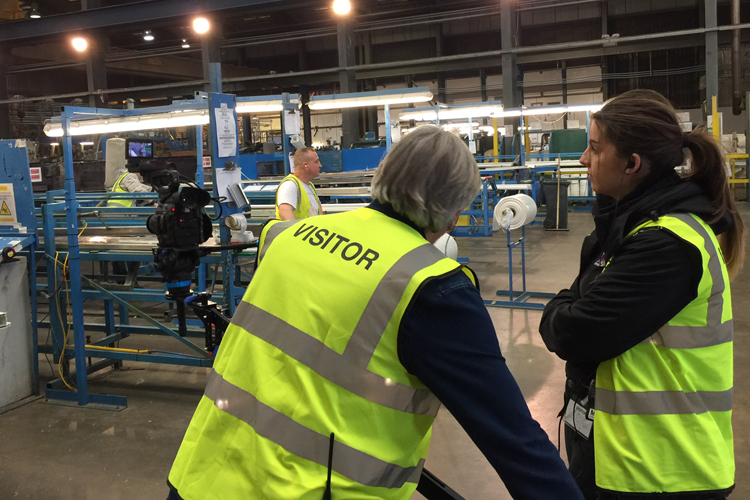 We covered three of the six sites on our three-day shoot; Synseal’s main site, Masterdor and Global Glass. All of which are based on the Nottingham/Derbyshire border. Throughout the shoot we were constantly on the move to make sure we covered every aspect of the production processes taking place in each of the three factories. We saw the raw materials of profile, aluminium, glass and timber products get turned into a host of end-products. From glazed panels to windows and doors, to whole conservatories. Our videos went down a storm on-site and have now found their final resting place on the client’s website. The main Synseal video can be seen below and you can watch the rest of the videos for Global Glass, Masterdor and Warmcore on Synseal’s YouTube channel. This entry was posted in News, On Location, Video. Bookmark the permalink.